Editor's Note: The following email was sent to UTSA faculty and staff today by President Taylor Eighmy. This summer has been a busy one with the launch of our Campus Master Plan and Research Excellence initiatives, both of which will accelerate UTSA’s upward trajectory as a nationally-recognized university located in the fastest growing city in the U.S.
Today I’m pleased to announce the launch of an initiative to move us closer to our goals for our athletics programs – a new Center of Excellence for Roadrunner Athletics. This facility will provide our 350+ student-athletes with the support they need to excel in a highly competitive NCAA Division I sports program. A committee, led by Vice President for Intercollegiate Athletics and Athletics Director Lisa Campos, will work with the architectural firms Populous and MarmonMok to design and determine the best location for a comprehensive multi-sport center that goes far beyond providing much-needed practice areas and locker rooms. When construction is complete, our student-athletes will have a hub for academic support, health, safety and wellness, with dedicated spaces for sports medicine, strength training and nutrition. The building will also feature research labs, classrooms and office spaces, leading to enhanced academic collaborations with our Department of Kinesiology, Health and Nutrition. 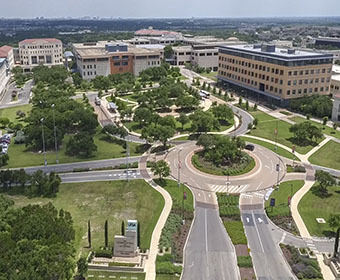 I am particularly enthusiastic about the potential of this project to boost UTSA’s public-private partnerships in sports medicine and other health-related fields. This new facility will be developed in partnership with the UTSA Roadrunner Athletics Foundation. I am incredibly grateful to the Foundation for their generous offer to work with us on this initiative, which will require strategic fundraising efforts and the support of our loyal athletics donors. The cost for this facility will be fully covered by external fundraising and philanthropy. Our two architectural firms will pool their talents on this project, combining Populous’s sports facility design expertise with MarmonMok’s familiarity with UTSA and San Antonio. They will work closely with our Campus Master Plan task force and Page, our consultant, to ensure that the center’s development aligns closely with our master planning efforts. Some of you have heard me say that UTSA Athletics serves as the “front door” of the university, especially at this point in our evolution towards becoming a great public research university. Recruiting high caliber student-athletes—students equally as talented in the classroom as they are on the field or court—is foundational to building a strong sports program. This represents yet one more important step toward ensuring our infrastructure and student experiences are on par with our peer models of excellence. As we inch closer to the start of the academic year, you can expect more messages from me with updates on the initiatives we launched last year. Thank you, as always, for reading! Learn more about the UTSA strategic plan.